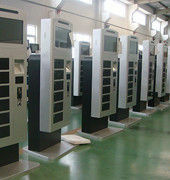 Winnsen innovative 24 Secured Safe Doors Charging Station Kiosk for Museum Library Events APC-12B is specially designed for Museum Library Events, where there are crowded people. It integrates deposit locker, phone charger and LCD advertising display as "three-in-one", so that people can connect their cell phone to charge, they can either stay there watching advertising videos or walk away for a music, event and etc. They do not need to stand near machine to monitor their cell phone. 1. Connect cell phone or iPad to cable on Winnsen charging station. 3. Come back to fetch cell phone or iPad. APC-12B could be with different language operation instrctions on UI, it is also with option to display multi languages. Users could choose their native languages before they start to charge or retrieve cell phones. This advantages makes it espacially popular in international locations such as airport, international exhibition, large events and etc. APC-12B allows 24 mobiles/iPads charging at the same time. 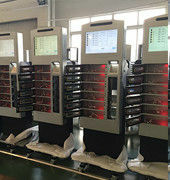 One of Winnsen's divisions is specialized in manufacturing lockers, with more than 20 years experience on metal lockers and more than 8 years experience on advanced electronic lockers, Winnsen knows how to make a good secured electronic locker for cell phone/iPad charging. 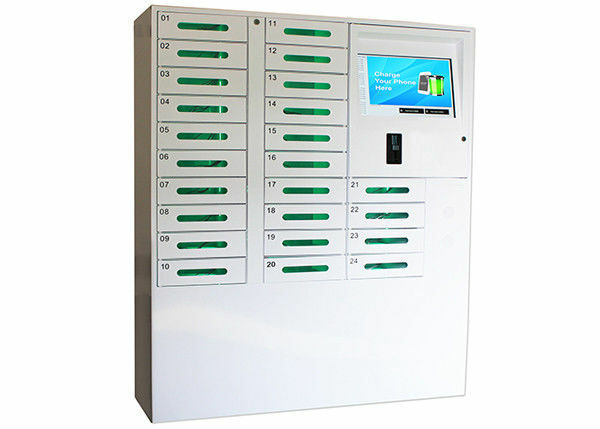 24 electronic lockers are all with LED lighting device inside. 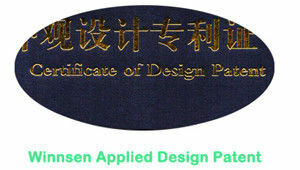 It not only decorating charging station more charming, but also performs indicator function. All empty lockers will be with green light inside, user would know green lockers are available for charging. 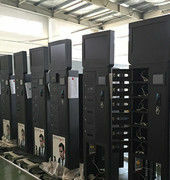 All occupied lockers are with red light inside, in case user sees all 6 lockers are red, they would know that they need to go to other charging stations nearby to charge their device. APC-12B offers report function for analizing daily operation and future business plan. APC-12B could be controlled remotely via internet, by LAN cable, Wifi, 3G or what ever other solutions available. 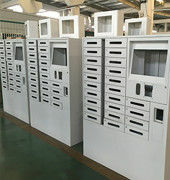 This 24 Secured Safe Doors Charging Station Kiosk for Museum Library Events is mainly targeted for self-service cell phone charge in unsupervised or semi-supervised positions. • Shopping Mall, Chain Store, Gym, Tourism and many other public areas.